The 2 part main body fits our Indexing Tailstock Turret and is free to slide back and forth allowing the tailstock to locked in place during tapping operations. 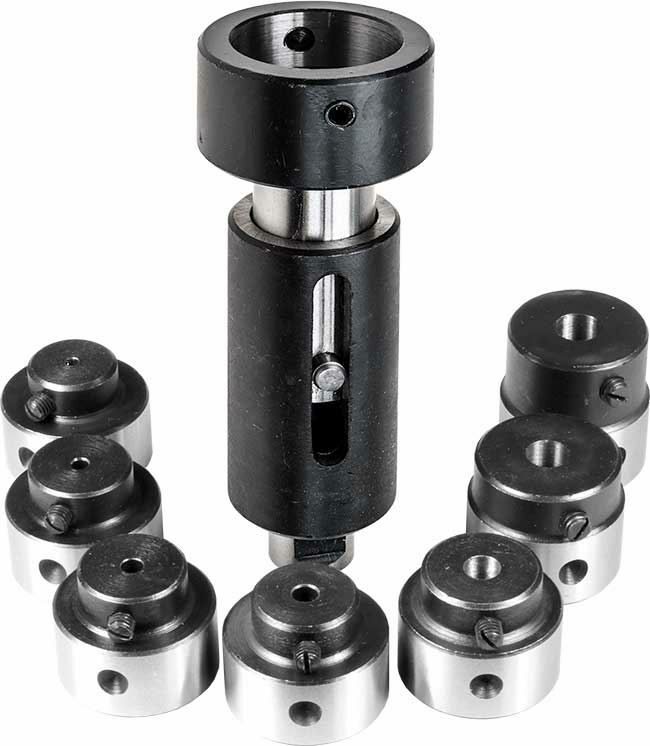 A set of 7 Tap Holders in various sizes fit into the end of the main body. Note: If you can't find a tap holder with the right diameter bore and square to suit your tap, one could easily be modified by boring to the correct diameter and fitting 2 grub screws (at 90° to each other) to hold the square end of your tap.